When processing a meat product, specific and specialized machinery is required, just like a good cook needs household tools for cutting, grinding and mixing. The quality of the raw material determines the quality of the final product. And it is just as important to work with high quality meat as is the quality of the added ingredients. 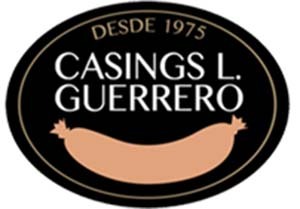 The production process begins with the selection of the meat, followed by its cutting or grinding on “cutter”-type machines. The resulting mass must be then mixed on special meat mixers with a rotating blade system for a soft, homogenous and compact mix. Occasionally, and only for specific products, stuffers are later used. On the XIX century, the industrial revolution would also affect the food production, transforming it from a handicraft work into an industrialized process. Discoveries such as the sterilization process, the use of glass, ice making and cooling systems allowed the refrigerated transportation of food. So this was a crucial century for experimental science. Technology and food preservation gave way to the Major Food Industry. Talsa is a company that manufactures machinery for the food and food processing industries. It has done so for generations and always paying attention to details, to the selection of the adequate raw materials, to obtaining a perfect finish, to a carefully planned and technologically supported product. This has earned the company a privileged position on the market with a brand label and a European distribution network with its own seal. Their stainless steel machines are the result of a job well done. Of their dreams made true thanks to engineering.